An Australian study aims to assess how well commercially available fitness monitors keep track of children’s activity, by evaluating how well they record data on children at play. Such activity is particularly important parameter in children with cerebral palsy. 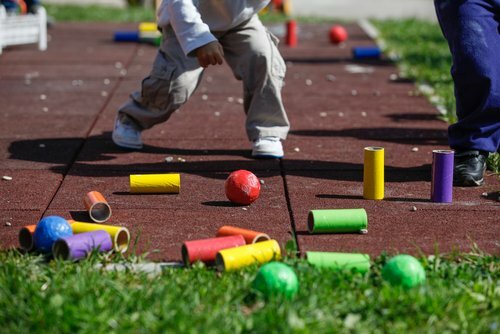 Researchers at Queensland University of Technology (QUT), Australia are looking for children, ages 3 to 5, willing to participate in the research and play for 20 minutes in a playground while wearing the sensors and trackers. The research, taking place at the university’s Centre for Children’s Health Research will compare for accuracy the results obtained with activity trackers to those recorded using several scientific movement sensors. Specifically, the study will evaluate the number of steps, minutes of intensive activity, and the computer programs that convert activity tracker data into statistics of how many calories a wearer is burning. The children are also being video recorded so that the team can compare participants’ actual minutes of play with the data generated by all the tracking equipment. “For a child with a medical condition like cerebral palsy, or who has just had surgery, it’s really important to know how many calories they burn. The work we are doing at QUT is aiming to improve the accuracy of the data that the wider community receives through trackers, and work towards producing the next generation of activity trackers,” Stewart Trost, professor of Physical Activity and Health and work-group leader, said in a university’s press release. The tests will be performed during 20-minute playground sessions at sites across Brisbane, with participants wearing the fitness trackers and sensors. “We put movement sensors on their wrists, ankles, and hips, along with a mask that tracks their breathing rate, and put two commercial activity trackers on them, and tell them they look like Iron Man or a superhero,” said Matthew Ahmadi, researcher from the Institute of Health and Biomedical Innovation. Researchers said that as these devices are now being used by health professionals and clinicians, so it is important to determine whether the information provided is accurate. The research team is also looking for adults with cerebral palsy willing to wear the trackers. More information on this study and possible enrollment can be found on the university’s page, here. Tagged accuracy, activity trackers, algorithms, Australia, recruiting, rehabilitation.